When Jon Jory founded Louisville’s Festival of New American Plays (now the Humana Festival of New American Plays) in 1976, he was already a playwright himself, having written the dialogue and lyrics for three musicals. But Jory’s greatest success as a playwright may have come under a pseudonym. He is reputed to be the mysterious “Jane Martin,” who is the most-produced playwright of the festival, with 10 full-length plays performed there between 1982 and 2001. Martin has also written six one-acts and a number of shorter plays that have been seen on the Actors Theatre stage and elsewhere. If Jory is indeed Martin, he may be using the pseudonym to explore his feminine side. 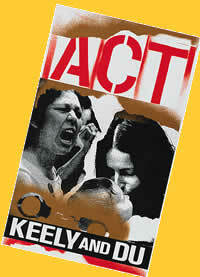 Two of the full-length plays (Talking With and Vital Signs) are essentially a series of monologues by female characters, while others (Keely and Du and Mr. Bundy) explore issues (abortion and child molestation, respectively) of particular interest to women. This has led some critics to speculate that Jory is collaborating with his wife, Marcia Dixcy Jory, on the Martin plays. Anton in Show Business is one of four Martin plays that have been honored by the American Theater Critics Association (Talking With, Jack and Jill and Keely and Du are the others), but in each case Martin did not appear to receive the award. Keely and Du was a finalist for the Pulitzer Prize, and it’s anybody’s guess whether the author would have dropped his/her cover if the award had been conferred.